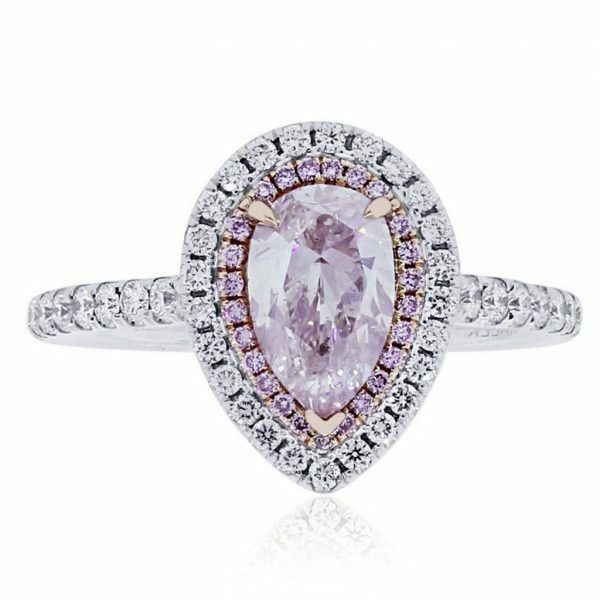 Find this Pink Pear shape Diamond Engagement Ring at Raymond Lee Jewelers in Boca Raton — Palm Beach County’s destination for engagement rings, men’s wedding bands, wedding bands for women and diamond rings. Mounting Diamond Details Approximately .37ctw of Round Brilliant Diamonds and 0.07ct in Natural Pink Diamonds. Diamonds are G/H in color and VS2-SI1 in clarity. Additional Details This Item Comes with a Raymond Lee Jewelers Presentation Box and GIA certificate! Categories: Diamond Engagement Rings, Diamond Jewelry, Diamond Rings, Diamonds, Fancy Color Engagement Rings, Gold, Jewelry, Pear Shaped Engagement Rings, Rings, White Gold, with Diamonds. Tags: Diamond Ring, Diamonds, Engagement Ring, Engagement Rings, Pink Diamond.